↑ Klaus Kästle (2009-07-24). "GNI PPP table". Nationsonline.org. สืบค้นเมื่อ 2010-08-08. ↑ "Botswana ranked Africa's leader in economic freedom". ↑ "The African exception". The Economist. 2002-03-28. ↑ John D. Holm. 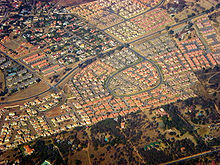 "Diamonds and Distorted Development in Botswana". Center for Strategic and International Studies. สืบค้นเมื่อ 2010-08-08. ↑ Joe Nocera (August 8, 2008). "Diamonds are Forever in Botswana". New York Times. สืบค้นเมื่อ 2010-03-15. ↑ "Impact says large uranium area identified at Botswana prospect". Mining Weekly. 2009-11-18. สืบค้นเมื่อ 2010-08-08. หน้านี้แก้ไขล่าสุดเมื่อวันที่ 28 กรกฎาคม 2561 เวลา 17:05 น.